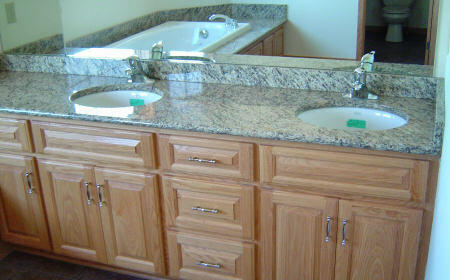 Heres a small selection of pictures showing various backsplashes alongside Santa Cecilia Granite Countertops. Santa Cecilia Countertops go well with tumbled travertine, but there are so many choices of tiles you can create your perfect kitchen design. As with all granites the patterns and colors do vary from slab to slab so its advisable to go to somewhere to choose your granite. You may find santa cecilia under various names such as St Cecilia, Juparana St Cecilia, Classic Santa Cecilia amongst others. There are different shades of Santa Cecilia granite so you really need to see them to get a feel what is going to match up to what else you have in your kitchen the most.